Look to Short Run Forms to print your digital NCR forms with exceptional quality. Short Run Forms NCR forms do not require multiple and often messy carbon paper. NCR forms provide you with carbonless paper copies in different colors so you can streamline your internal business processes. Digital NCR forms are commonly used to print invoices, sales orders, and purchase orders in a variety of industries and professions. Short Run Forms will customize your NCR forms with your name, logo and fields specific to your business. NCR forms help you capture the right information from your customers. Stay organized whether you’re a corporation or a smaller business such as a landscaper, catering business or electrical contractor. If your business needs custom NCR forms printed fast, Short Run Forms will provide you with a rapid turnaround at a competitive price. The quality control team oversees your NCR forms and will make sure the job is inspected prior to leaving the shop. 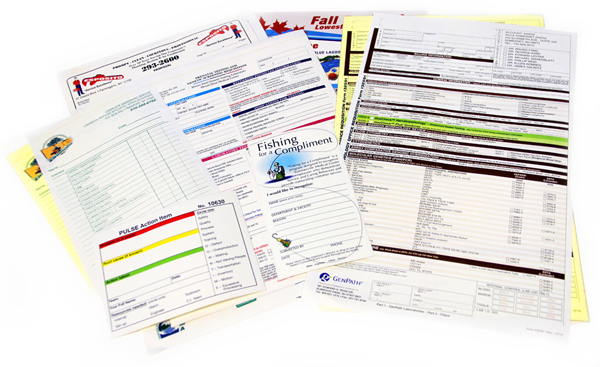 Short Run Forms has many options to print NCR forms in different sizes, paper weights and colors. 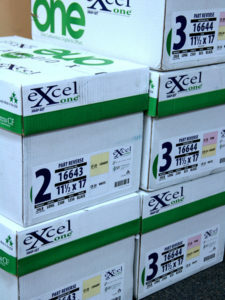 Excel One is a top-rated brand especially for use in our Digital machines. All parts are quality 20lb heavyweight NCR. Paper is next day delivery for faster turnaround on your job. Guaranteed same quality on repeat orders. No issues with using industry standard fan-apart glue. An added .5” stub to create a snap-set or wraparound book. Clean, Digital numbering in a variety of fonts. We can even create NCR pads with regular padding glue. Our Graphic Design team will make sure that your files look great before printing them. We will look over all aspects, like fonts, colors, crossover spreads, photos and bleeds to make sure everything is properly put together so your booklet prints outstanding. You can upload your artwork and Short Run Forms will take care of the rest. Need help coming up with a design for your digitally printed ncr form? The Short Run Forms art department partners with you to ensure your ncr forms are printed correctly and professionally. Short Run Forms has close to thirty year’s experience in printing business forms. 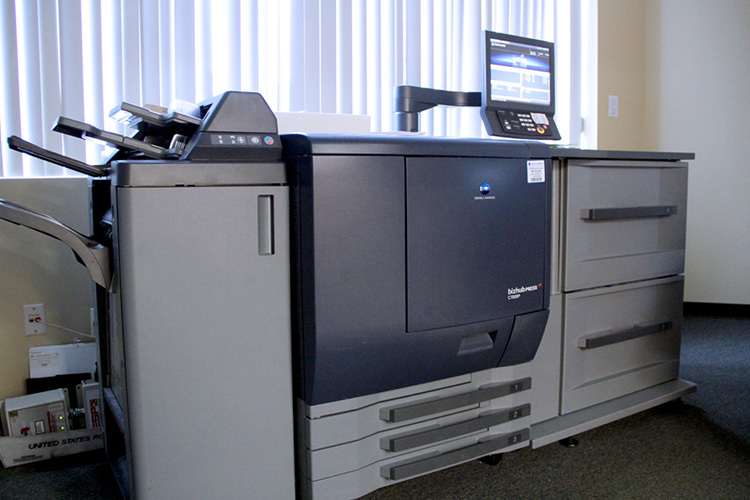 Turn to the experts in ncr business form printing when you need your printing job done right! Call or contact Short Run Forms for more information about printing ncr forms. The customer service team is standing by to take your questions.